The Richmond pattern has a distinctive colonial shape with an added fluted design element on the tip of each handle. Every piece is crafted in traditional American sizing and weight. This Liberty Tabletop time honored classic is an all-time favorite! The Richmond set is beautiful and the silverware is indeed high quality. I didn’t realize that the knives would be longer and heavier than the forks, though my husband told me that’s the standard. I prefer the size and weight to be more even. 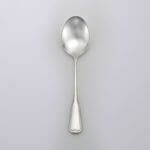 It is our best silverware and will be used for special occasions. 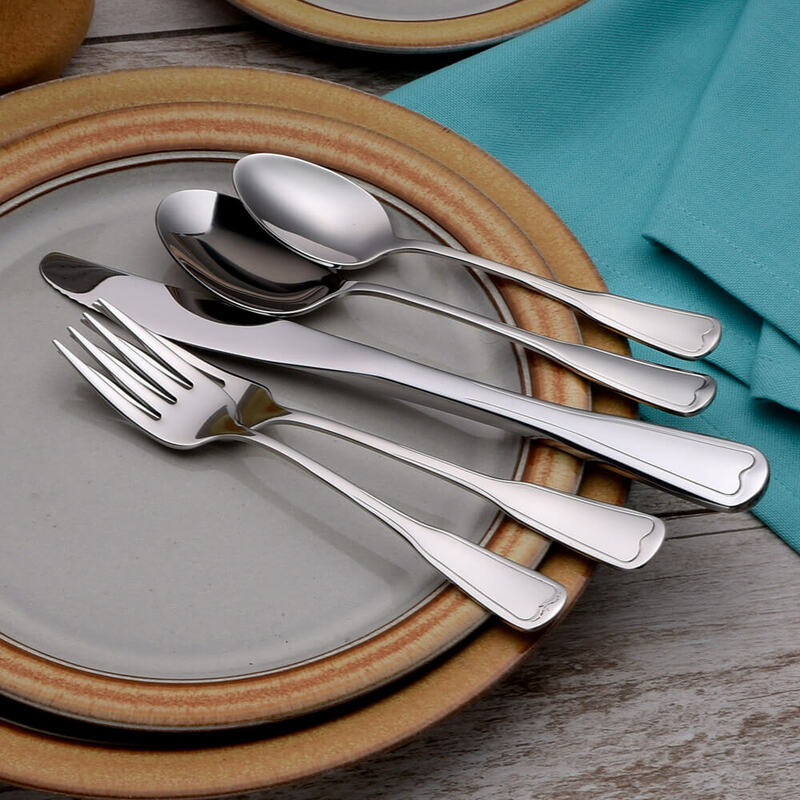 I wanted a new set of flate ware, and didn’t want to purchase what was in store as everything made in China. Found Liberty House and I am very pleased with my selection. 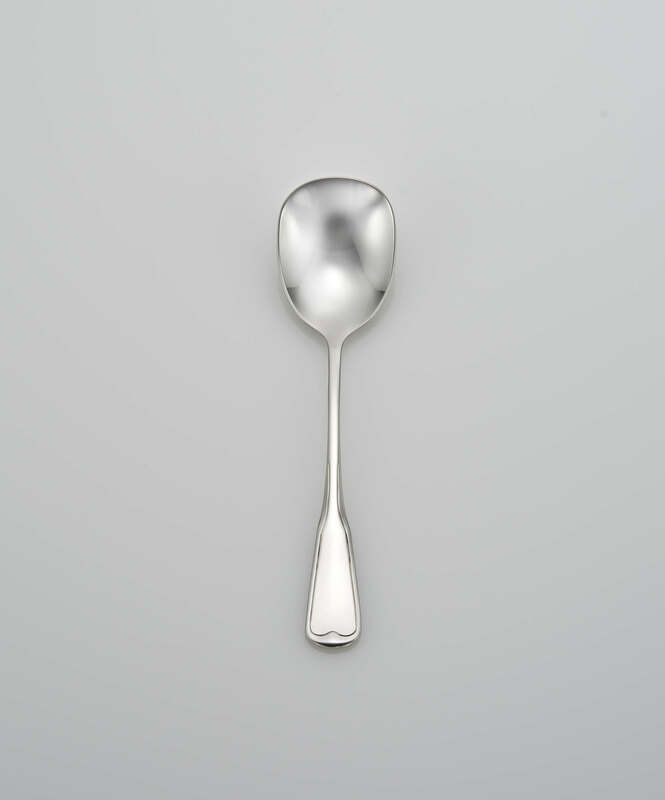 Beautiful, simple design with the perfect weight. Well made and the quality is outstanding. The best part is the set is among birthday gifts for my wife and she loves them. My family is very happy with the Richmond 65 piece set we purchased. 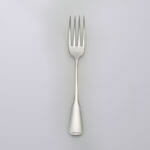 I spent some time picking a set where the forks did not have long tines or prongs and was delighted with the size and balance of the Richmond set. 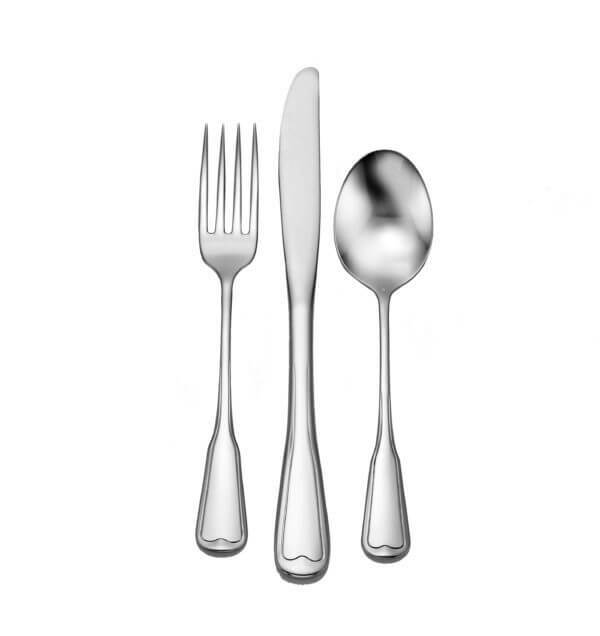 Nowadays it’s difficult to find a quality made flatware set that uses 18/10 stainless steel. The Richmond set has a simple design but they look and feel magnificent. Excellent product! Tip: I would recommend hand washing the set for the first time. Better than expected in weight, finish and overall quality. 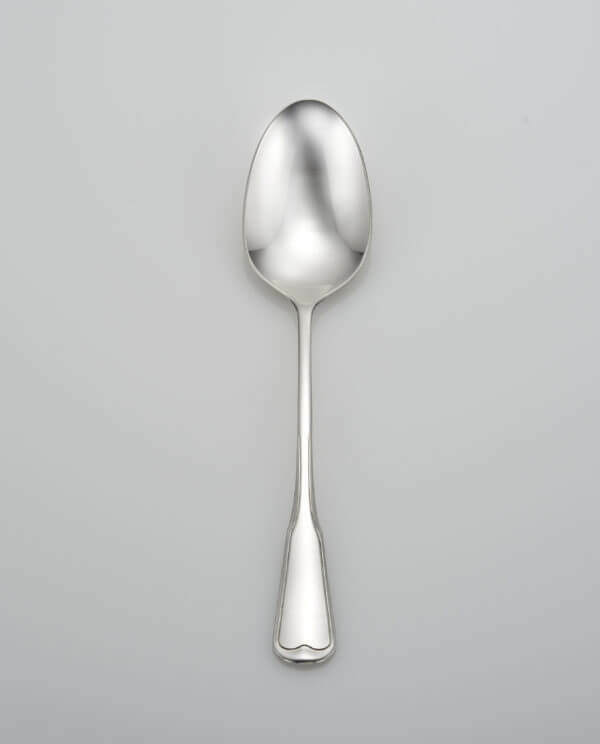 I love this silverware! 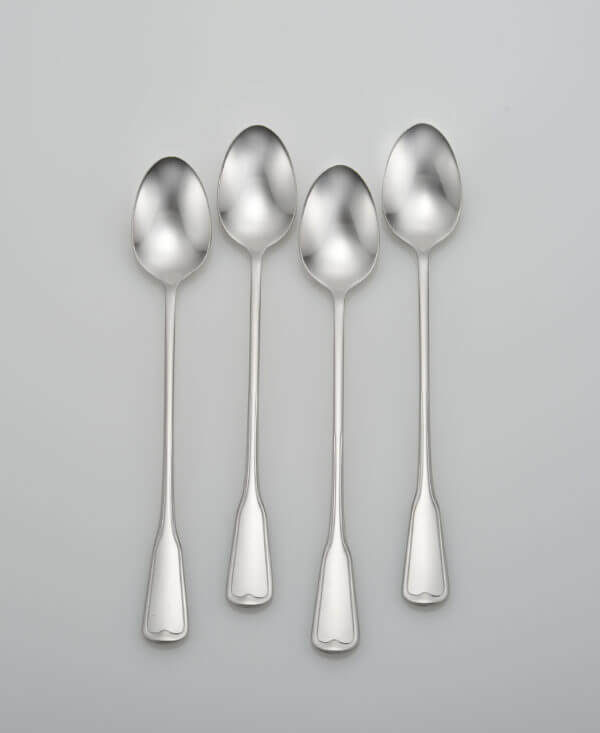 When the remaining teaspoons in my old set had dwindled to 3, I decided it was time to invest in new flatware. The reviews I read of the old favorite brands seemed to indicate that they weren’t what they used to be, and that the knives often rusted. 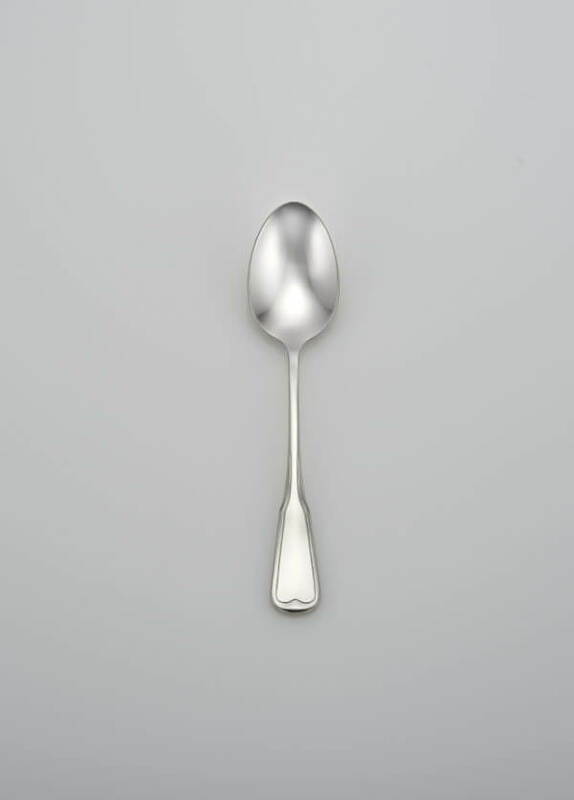 I was also looking for something with smaller sized pieces, rather than the huge, heavy forks and spoons that seem popular today. The fact that it was made in the US was another bonus. I’ve had my full set for about 2 years now, and decided to order a few extra place settings and teaspoons just so that I was sure to have them when the inevitable garbage disposal accidents happened. 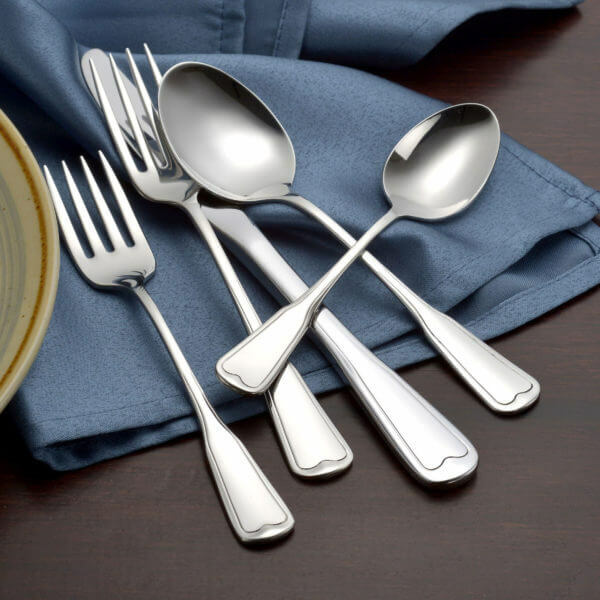 The pieces aren’t indestructible; you can bend the tines of the forks if you jam them when you slam the drawer shut, for example, but they fit my hands and mouth nicely and I love the simple design. 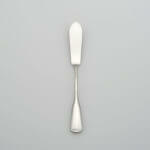 Very nice and simple, a great everyday flatware. We have been using these for a month now and could not be happier with them! High quality stainless, VERY solid and beautiful flatware. Sure, you can find something less expensive, but they will be lightweight, easily bent and made in R.O.C. These were worth every penny and MORE! This set is excellent. It is just the right appearance, weight and size for us. Absolutely beautiful, very reasonably priced, and made in AMERICA! So happy to have found this company! Exceptional customer service as well. 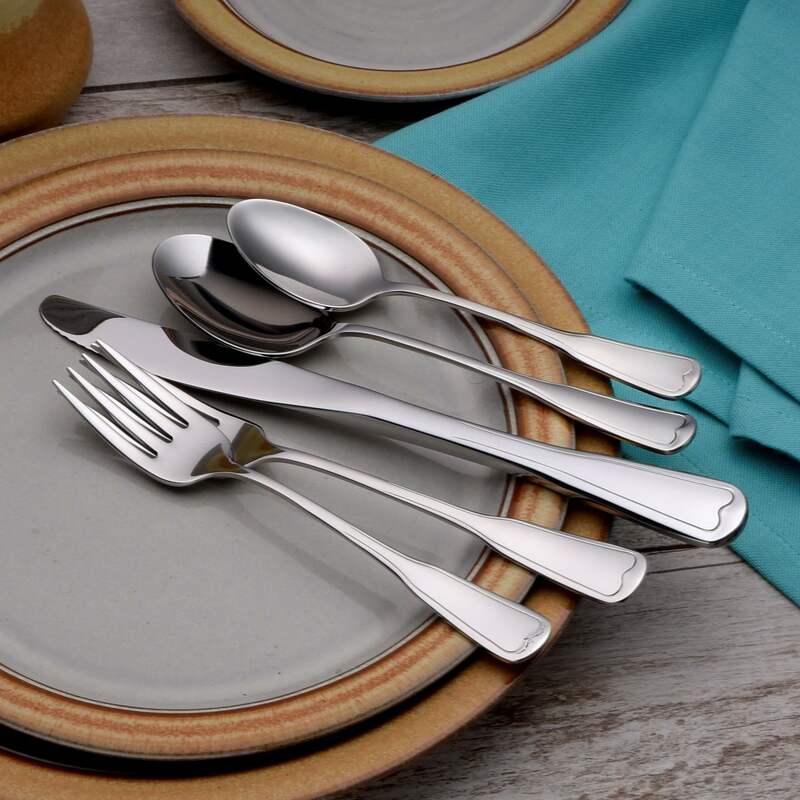 The Richmond -20 Piece Flatware Set makes a beautiful table presentation along with the American White, lead free dinnerware. I had been searching for shiny flatware for a long time. Recently I typed in”The best flatware money can buy”. Liberty Tabletop came up. I read all the positive information on this American company and decided to take a chance on a 12 place setting of the Richmond pattern. Customer service (Kim) answered any questions I had, it was pleasant experience and the order arrived surprisingly quickly. I read other reviews where the price was questioned. After comparing this product with that in the department stores, I cannot believe the quality product I got for such a reasonable price. I would buy it again without question. Thank you Liberty! Everybody in the family loves this new silverware. Best purchase this year and made in the USA! 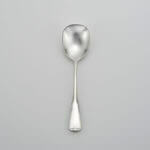 After searching for flatware that was made in the USA I thankfully came acrossed your company. I purchased the 65 piece Richmond set to give to my daughter as a bridal shower gift. 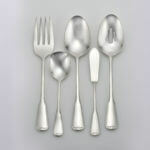 She loved the flatware and especially that it was polished with an organic substance instead of harmful chemicals. Thank you so much for your dedication. And thanks for a wonderful product that’s made in the USA! Fantastic product, and made in the USA! I purchased your product when you were advertised at “made in America” day at the White House. Keep up the good work. God bless you. 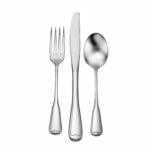 This is the first set of brand new flatware that I have ever had. I like the weight of the pieces. I like the comfortable rounded edges and the way it feels in my hands. You can see the quality immediately. I expect that I will have it the rest of my life. This is a purchase that I don’t regret. It costs more than something you would get at Walmart, but it’s worth it. Our family use the Liberty Forks we recently purchased. Shiny!! 18/10! 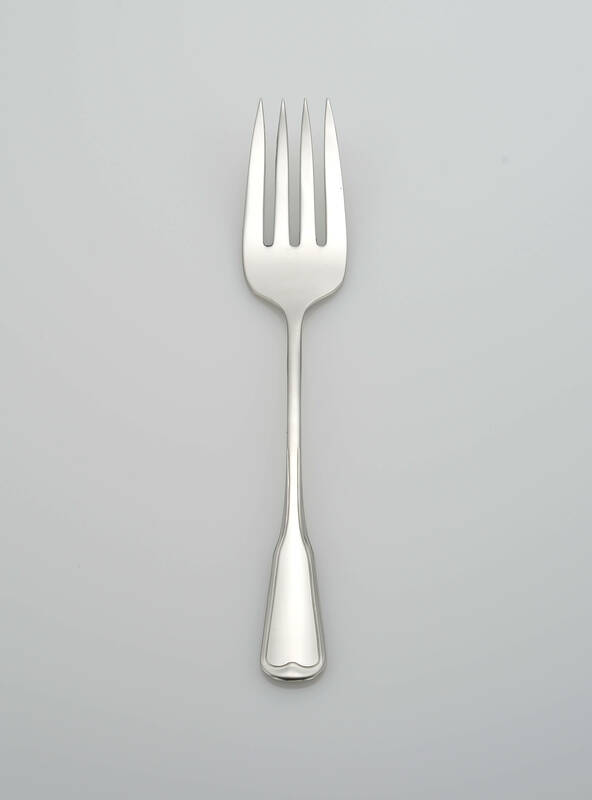 And we have nice forks to use for every meal. Thanks Liberty Tableware! We are so pleased with the tableware (Richmond)we received. It is holding up great and I would recommend it to everyone we know that may be in line to buy new ware. 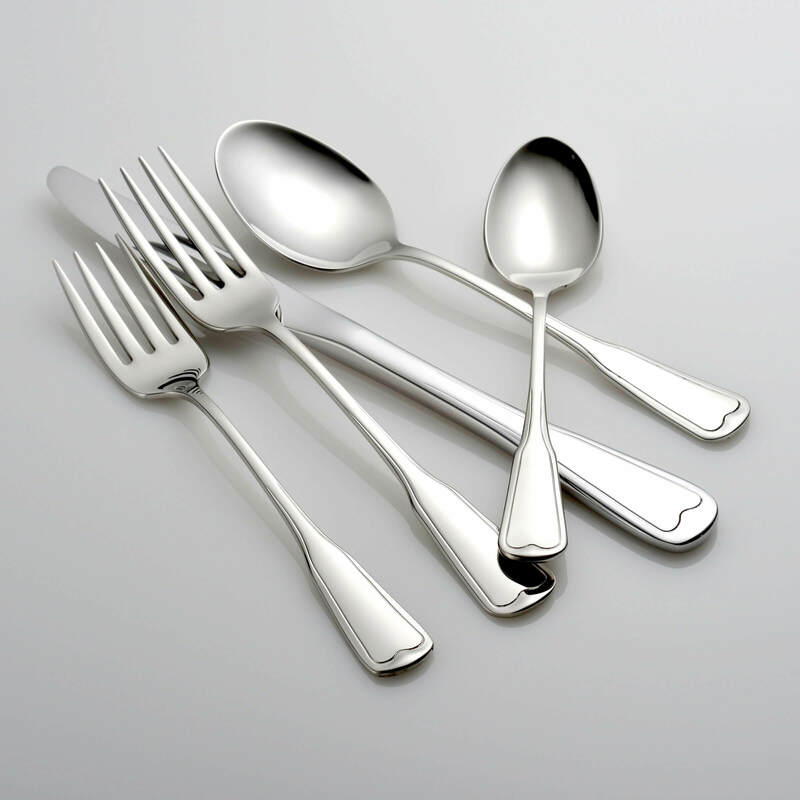 this flatware is so much better than the cheap imported “crap” sold in all the stores. Feels good in your hand, looks and feels like it would last a lifetime or several; Plus it is made in America (American manufacturing). 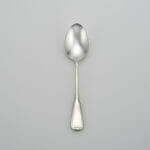 The Richmond is delicate and substantial, simple, elegant and, for me, the perfect tine size. 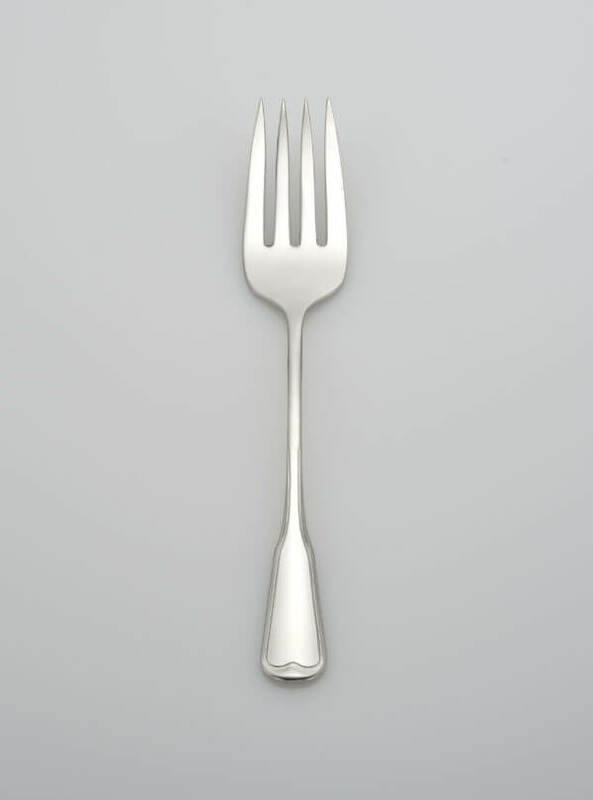 I got the salad forks and use them for salad, dinner and dessert. The minimally embellished pattern is just what I wanted, without seeming the least bit “plain.” I love that you can buy four pieces of whatever you need; love the finish, the price is quite fair, weight, quality – a full ten. I love that it is made here in the US. 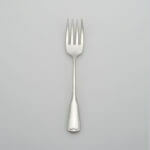 The shipping was really quick, and really, I can’t imagine ever needing to buy flatware anywhere else. Great company guys. Well imagined, well designed, well done! Good quality tableware. I was not disappointed. I plan to buy more. My wife picked these out, and I was concerned at first about the narrow neck. I’ve broken a number of utensils over the years. I didn’t need to worry, though. 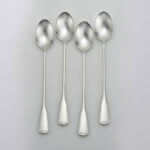 They are much stronger than I expected, more so than any other flatware I’ve used. The price almost scared me into getting a cheap set from Target or Walmart, but I’m glad I bought them. Quality fit and finish, right size, weight and feel. Good to see the quality craftsmanship the USA used to be known for is still available. The design was perfect for me, just a little style without going too far. 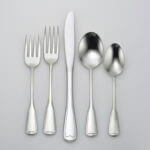 Awesome flatware and the best thing is MADE IN USA!!!!! With American workers. The best set of flatware we’ve owned, hands down. 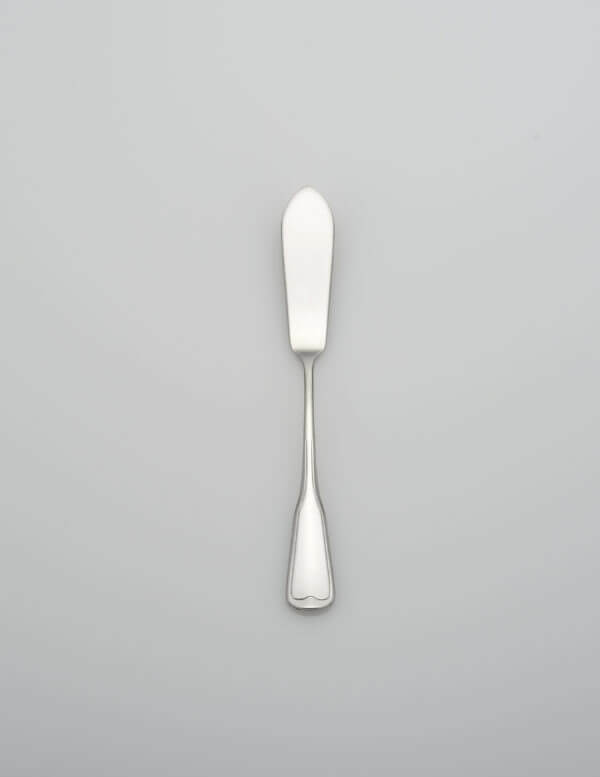 This is my first time buying “quality” flatware. I specifically searched Made in USA and learned that Liberty was the only option. I was happy to find out that they are from my home state of NY. I am extremely happy with my purchase. We still have some old pieces in the drawer and I don’t even want to pick them up. 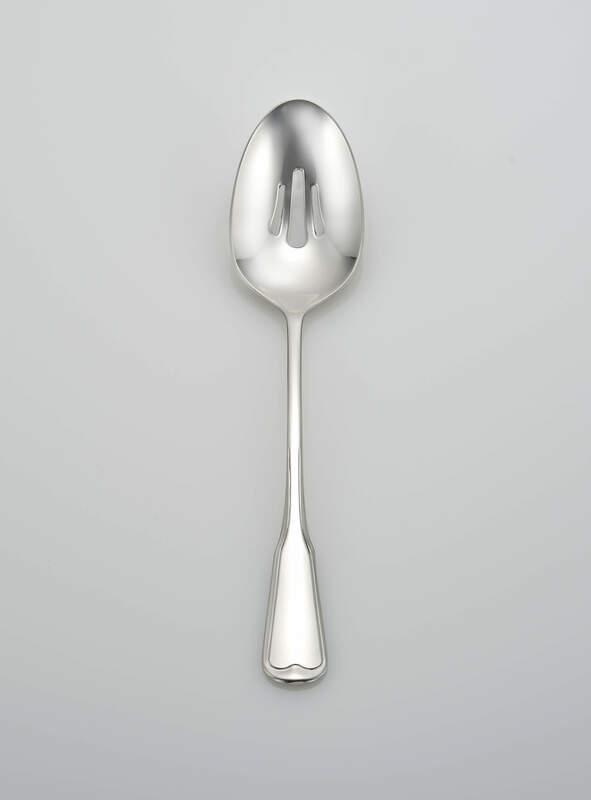 The Liberty flatware just feels so much better to hold. I will be buying more. 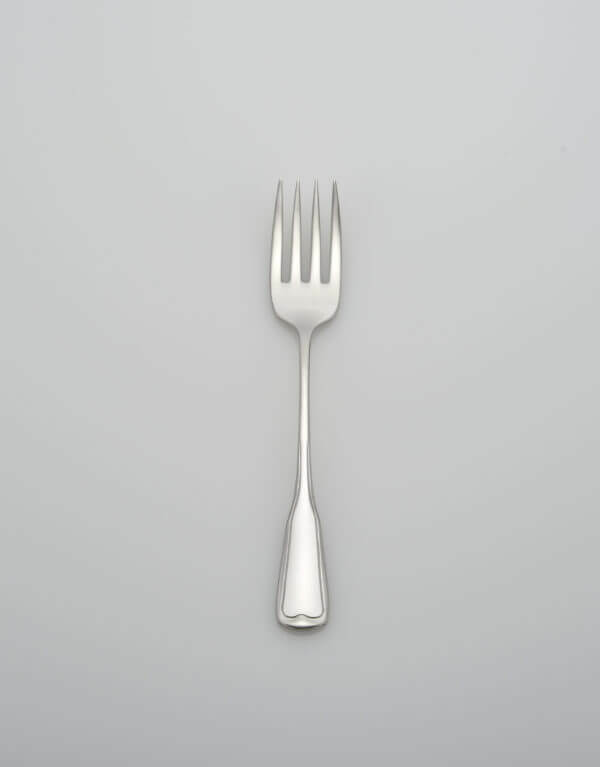 I am so pleased with the high-quality flatware that I recently purchased from Liberty. They are a beautiful addition to my table setting and best of all it is made in the U.S.A., which is making American Great Again! I bought it for my mother for her birthday. She loved it. What I think was perfect for her was we grew up there and she grew up in Oneida. Even though we live here now i felt I was giving back locally. 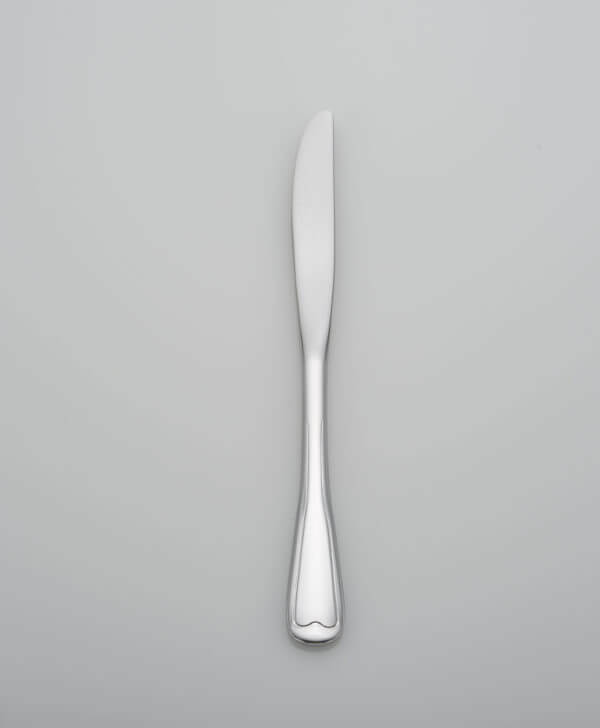 I think the design/appearance is good but I wish the cutlery was heavier. BUY AMERICAN…support Americans! 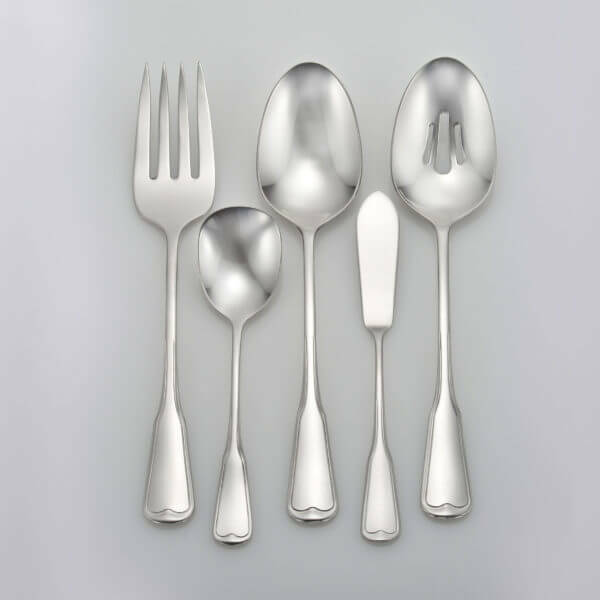 I am absolutely thrilled with this flatware. Sleek design, nice weight…quality! 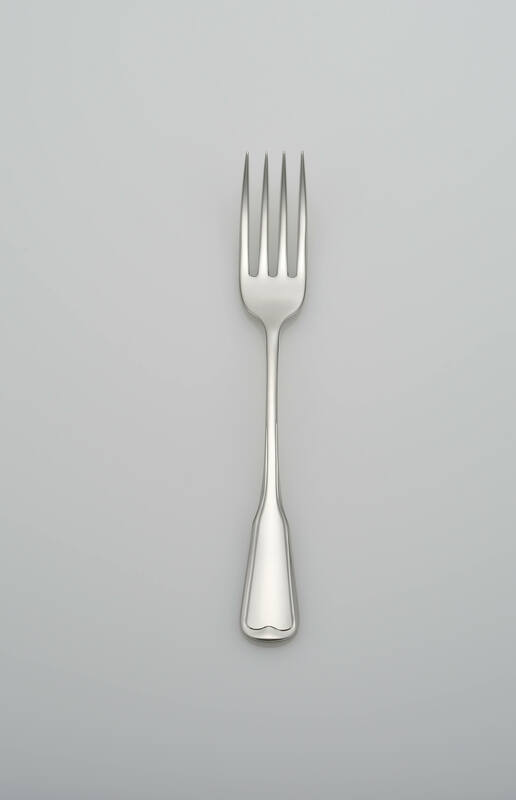 After reading reviews, I decided on this design for the shorter tines on the salad and dinner forks. The dinner knives are also shorter than some of the other styles offered. A good feel and nice weight so using them is not cumbersome. No more “Big Box” off-shore, cheaply made items, just to save a few bucks. These are very reasonably priced. Very good quality and beautiful design. I will buy more from the same colection for sure. Fast shipping. For years my family’s go-to source for most handyman tools was my flatware drawer. 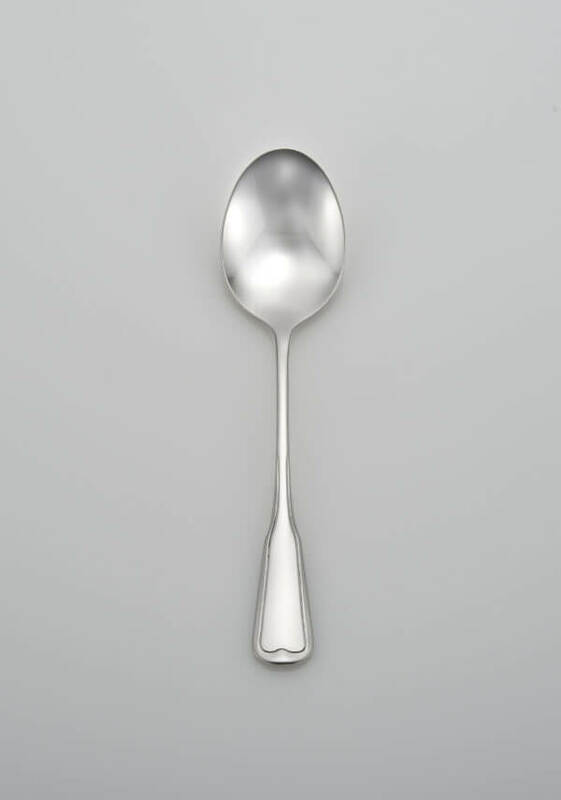 Since the flatware was ancient (almost 50 YO), it accumulated a lot of scars from the enthusiastic use of spoons to hammer nails (leaves a nailhead imprint on the back side of the spoon), twisted tines of forks from being used as a screwdriver or pry tool, ditto dinner knives, and various scratches from digging with spoons and forks in the garden. I was slow to decide to replace the old stuff, but when I learned that I could buy American made, I began to look in earnest. I couldn’t be happier with Liberty stainless. After receiving this set (pristine, beautiful), I decided to forsake filling my house with cats and ordered another set as well. You will love this product. 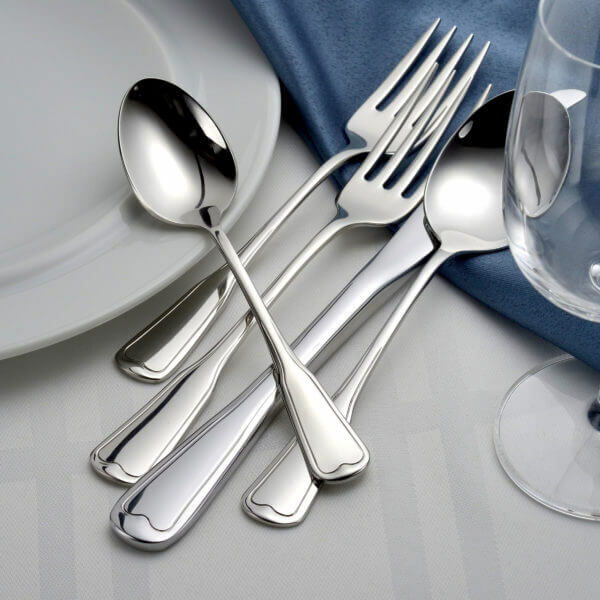 I purchased the Richmond flatware as a gift for my wife for Christmas. She had reviewed many companies and really liked products Liberty Tabletop offered. It was important to her and me that we support and purchase from US Company. The ordering process was simple, the customer service was excellent, and the product was delivered very quickly (within 3 business days). Thanks for the great quality product Liberty Tabletop. 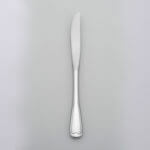 I won’t buy flatware from anyone else! 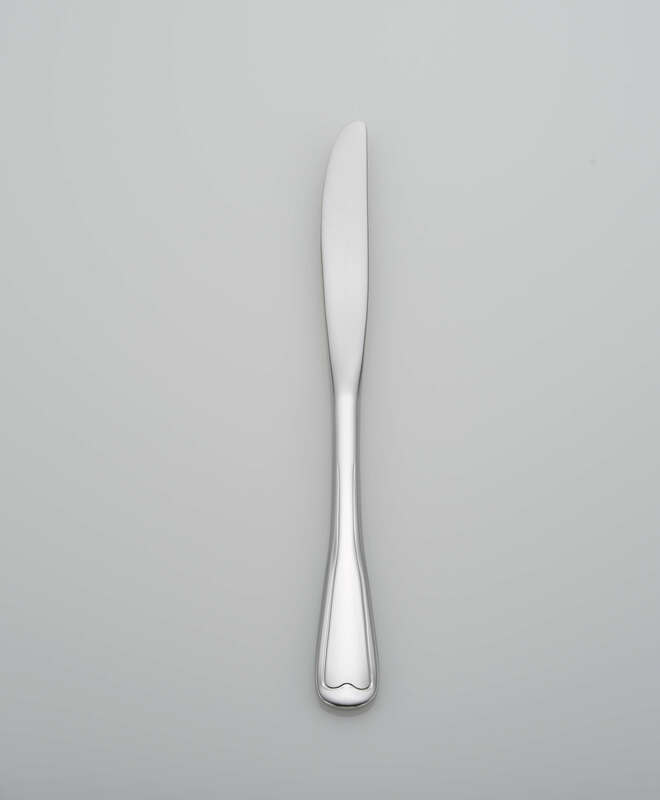 I wish I had discovered Liberty two weeks ago.I just purchased flatware from a very well known maker at three times the price of yours, only to discover on receipt that they were made in Vietnam and the knives are two piece. Totally pleased with the silverware. Also couldn’t believe how rapidly it arrived after ordering; ordered on a Friday and arrived on Monday-across country. Arrived quickly and in perfect condition. Extremely high quality product. Have been using a couple of weeks and washes well in dishwasher. I cannot say how well they will hold up over time but they feel like high quality pieces and I am very pleased at this time. I am so happy to be able to purchase USA products at competitive prices! Love this product. It is Made in U.S.A. is the main reason I purchased from this company. It is a quality product and I love the Richmond design. I used during the holidays and my family complimented it. Very nice set. I bought the Richmond set for my granddaughter and her husband for Christmas. They were thrilled with the pattern and quality of the set and so was I. I was so happy to find that it was American made. Thank you for such a quality American made product. I bought a set for myself. Loved the feel and size. Ordered another set for my granddaughter. I prefer to pay a little more for something MADE IN USA. Clean up is easy, I do not use a dishwasher. Great product at a good price. Have been looking for USA made product. Happy to give as a gift. Hope to see your product in department stores. Finding quality Made in America is a challenge. 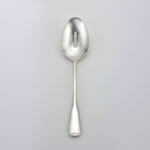 I am enjoying the new flatware I ordered from Liberty. My daughter helped me pick out the Richmond set and they look great! The quality is great and it was rewarding to learn of Liberty’s environmentally safe practices as well. It’s nice to know I have a fine product produced by hard working Americans and not some child in a sweatshop overseas. This is a great opportunity to order a quality American made product, without a significant difference in cost. I ordered a Richmond, 45-piece set. It arrived in just a couple of days and looks great! There’s no way I will buy inferior Chinese manufactured products as long as this remains an option. I love my new flatware..Richmond is the pattern I finally decided on. 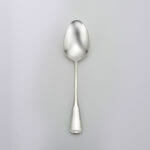 It is simple yet classic, and goes with any table setting I would choose to do. Now that we have used it for several weeks, I can say honestly that it washes great in the dishwasher, it feels comfortable in your hand and also on your mouth. We are looking forward to setting our Thanksgiving table with our new flatware. Not only did I like this set I bought two more sets for gifts this Christmas! American made, American steel and an attractive well made (safe) sturdy product. 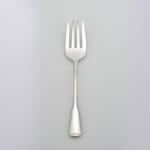 I was thrilled when my flatware arrived. When ordering online you are never sure what you will end up with. This is exactly what I was hoping for. Perfect weight and size – not like some companies that are so huge and heavy. And I love that it’s made in the USA!!! Shipping was quick and customer service excellent!!! This is the perfect size and weight for what I was looking for. Normal size not huge and bulky like so much available today. I am so very happy and it looks great . Arrived quickly. And best of all it is made in USA!! Thank you for an awesome product!! We ordered a selection of Liberty flatware samples from a variety of price ranges before deciding which model to purchase. All were very high quality and it was a challenge to choose. 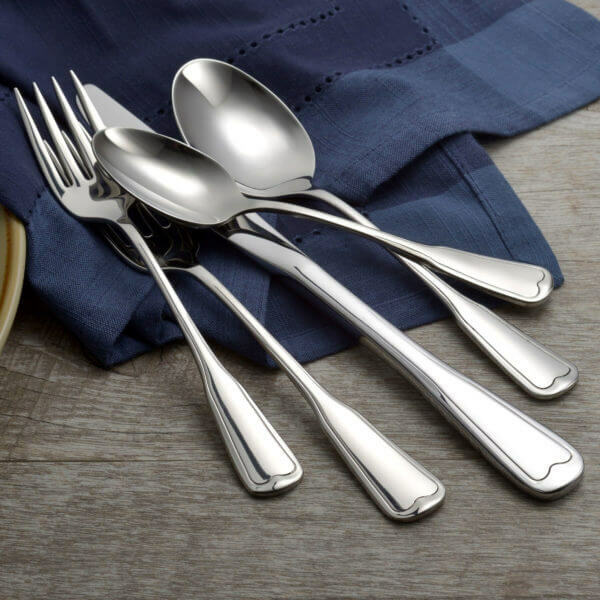 However we chose Richmond because its simple style works well with all of our dishes, the pieces fit easily in the cutlery basket of our new Bosch dishwasher, and they feel just right in our hands. They feel almost surgical in their balance, strength, and “just right” weight. We love this model and look forward to many years of use.